The Model NZ was developed from a New Zealand machine (hence the model name), the Moss Model D. Improvements included the addition of a townmark and the use of six values instead of the Model D's five. 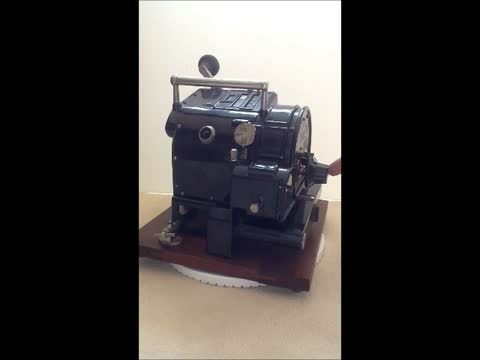 The High Speed machine consisted of a modified International Postal Supply Co. Model M stamp cancelling machine fitted with a detachable meter bearing the value die, townmark and registering mechanism. Any number of separate meters could be fitted. The "Three Value" or "Special Midget" was a prototype machine and was the first UPF model designed completely in-house. Only one machine is known to have been used in Great Britain, although others were displayed by UPF at a number of events including the British Empire Exhibition. The Universal 5 was a Fixed Value machine built under licence from UPF by the Swiss company Henry Baer & Co. It was almost identical to the TV/SM, other than minor modifications to the inking mechanism and value selectors, plus the use of five value dies instead of the TV/SM's three. The Midget was the production model developed from the TV/SM. It was much lighter and was eventually built in 2-, 3- and 5-value variants. The Multi-Value was based on the German Francotyp C machine, originally designed by Wilhelm Friedrichs. The Friedrichs patents were purchased by UPF and three variants of the MV were built. This was the first multi-value machine available in Great Britain and was fitted with a series of value printing wheels which permitted any value to be printed, limited only by the number of banks of wheels. The Simplex was a Limited Value machine, meaning that it was fitted with a single frame die and a separate value die engraved with a number of values. 13- and 25-value variants were available. The Automax was a post-war development of the Multi-Value, incorporating technology from the Simplex. This was the last model built by UPF, which was subsequently incorporated into Pitney Bowes.